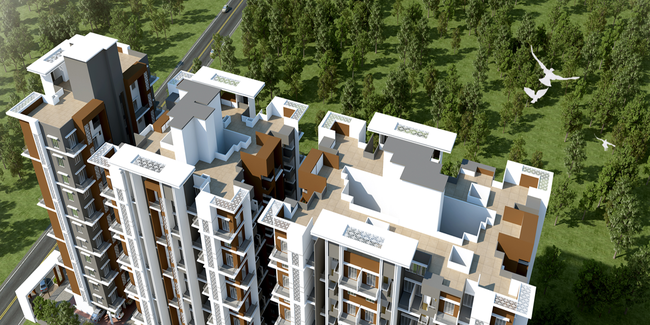 Details: The project is coming up at Moshi, Pune spread over 2 acre of land. The project offers 3 towers with G+11 floors, having 192 units of 1 and 2 BHK apartments. Apart from the basic amenities, the project offers Children's Play Area, Landscape Garden, Rain Water Harvesting, Solar Lighting, Community Hall, Senior Citizen Sitout, CCTV Camera Security, Entrance Lobby, Property Staff, Acupressure Park, Yoga/Meditation Area, etc.